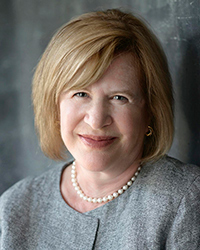 Abigail Pessen started her dispute resolution firm in 2000, after years in the trenches as a litigator at a New York City law firm. She mediates business and employment disputes and serves on the American Arbitration Association's Master Mediation Panel for complex commercial mediations. She is also an arbitrator for the American Arbitration Association's Large, Complex Case, Commercial, and Employment Panels and the International Centre for Dispute Resolution. 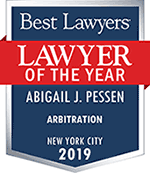 Abigail is honored to have been chosen 2019 Lawyer of the Year for arbitration by NYC Best Lawyers; she was chosen 2015 Lawyer of the Year for mediation. She is also one of just a handful of New York City dispute resolution providers awarded U.S. News and World Report's highest "First Tier" ranking for both mediation and arbitration. Abigail's years as an advocate taught her what our legal system can accomplish. Her experience as an arbitrator of difficult business and employment disputes has convinced her that an efficient arbitration process, guided by a fair and decisive arbitrator, is less expensive and faster than traditional litigation, while also providing privacy to the parties. She also believes strongly that the risks, unwelcome publicity and prohibitive cost of litigation - - in dollars, time, and energy - - often may be avoided by working with a skillful and patient mediator to resolve the underlying problem.